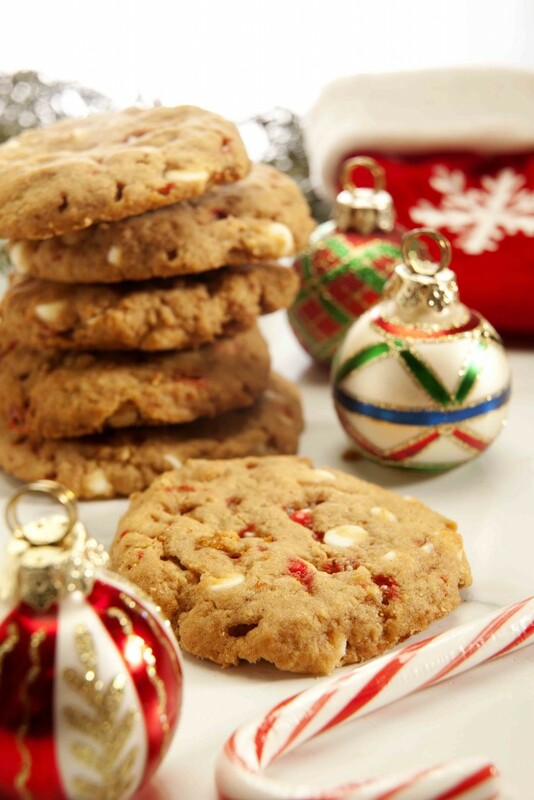 These festive gluten-free white chocolate chip peppermint cookies are dairy, nut and soy free. Preheat the oven to 350° F. Spray or grease a cookie sheet. Mix flour, baking soda, sea salt, xanthan gum, white chocolate chips and crushed peppermint in a large bowl. In a separate bowl whip together butter, egg or egg replacement, sugar and peppermint extract. Add the liquid ingredients to the dry ingredients and mix together. Shape into cookies and bake for 10-12 minutes. Oven temperatures may vary so keep an eye on them. Allow to cool completely before removing with a spatula or pancake flipper. * To make an egg replacement: Measure 1 tablespoon chia or ground flax seeds and 3 tablespoons hot water and stir. Allow to sit until a gel forms, then add to the liquid ingredients. Nutrition Analysis (with coconut oil and egg replacement, so dairy free): 260 cal, 17 g fat, 0 mg chol, 170 mg sodium, 26 g carbs, 2 g fiber, 14 g sugar, 2 g protein. Janice Amee is a gluten-free recipe blogger whose recipes have been featured in various publications and websites, such as Popsugar. You can find her blog at JaniceAmeesGlutenFree.com.